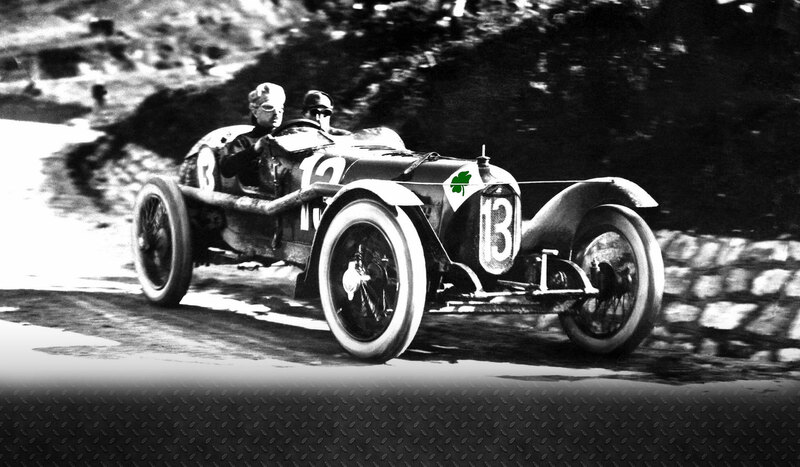 The company that became Alfa Romeo was founded as Società Anonima Italiana Darracq (SAID) in 1906 by the French automobile firm of Alexandre Darracq, with some Italian investors. One of them, Cavaliere Ugo Stella, an aristocrat from Milan, became chairman of the SAID in 1909. The firm’s initial location was in Naples, but even before the construction of the planned factory had started, Darracq decided late in 1906 that Milan would be more suitable and accordingly a tract of land was acquired in the Milan suburb of Portello, where a new factory of 6,700 square metres was erected. Late 1909, the Italian Darracq cars were selling slowly and Stella, with the other Italian co-investors, founded a new company named A.L.F.A. (Anonima Lombarda Fabbrica Automobili), initially still in partnership with Darracq. The first non-Darracq car produced by the company was the 1910 24 HP, designed by Giuseppe Merosi, hired in 1909 for designing new cars more suited to the Italian market. Merosi would go on to design a series of new A.L.F.A. cars, with more powerful engines (40-60 HP). A.L.F.A. ventured into motor racing, with drivers Franchini and Ronzoni competing in the 1911 Targa Florio with two 24-hp models. In 1914, an advanced Grand Prix car was designed and built, the GP1914, with a four-cylinder engine, double overhead camshafts, four valves per cylinder, and twin ignition. However, the onset of the First World War halted automobile production at A.L.F.A. for three years. A.L.F.A. (Anonima Lombarda Fabbrica Automobili) was founded on June 24th, 1910 in Milan, Italy. Two of the traditional symbols of Milan were chosen to make up the badge – the cross of the municipality and the Visconti serpent, which were included on a disc with the lettering ALFA-MILANO printed around the edge. The two were divided by two Savoy-dynasty knots. In 1915, Nicola Romeo took over A.L.F.A. and the company name became “Alfa Romeo.” In 1920, the first vehicle was badged with the new logo, which was modified to read Alfa-Romeo Milano. A golden laurel crown was added to the badge, symbolizing the victory at the first World Championship. During the war, the machines that produced the badges installed on the vehicles were destroyed, which lead to the creation of a Spartan single-color (red) version of the badge. With the proclamation of the republic, the Savoy-dynasty knots were replaced by two wavy lines and the badge restored all of its color. The Pomigliano d’Arco Alfasud plant opened and the word MILANO was removed along with the wavy lines. The laurel wreath was removed and the diameter of the logo was increased. The badge’s formal elements and colors were redesigned with the simplification of the serpent and the re-composition of ALFA ROMEO in the Futura typeface. The new ALFA ROMEO badge is the perfect match between geometry and proportion, measured in every single part. Every element has its specific color, as each one highlights the exclusive positioning of Alfa Romeo expressing a bold and contemporary personality. The pyramidal texture on the background marks the brand character. Two different tones of gray melt together in a three-dimensional contrast of illuminations and shadows. Each aspect of the emblem, designed by Giuseppe Merosi in 1910, is significant to the company’s origins and history. Even though the badge has changed many times over the last century, it has retained its basic and instantly recognisable design. Logo is actually compiled of two heraldic symbols. The leftmost half of the circular badge exhibits the coat of arms of Milan, the city where the company established its operations in 1906. This coat of arms is a red cross on a white background, and is used by the city to this day. The Visconti coat of arms can still be seen on many of Milan’s prominent landmarks. On the right of the badge a green serpent can be seen, with what appears to be a forked tongue protruding from its mouth. However, on closer inspection this is in fact not a tongue, but a person! Part of a heraldic image known as the biscione, or viper. The biscione was the emblem of the House of Visconti, one of Milan’s oldest and most powerful dynasties. The Visconti coat of arms can still be seen on many of Milan’s prominent landmarks. While it is certain that the biscione depicts a serpent in the act of consuming a human, who exactly the human is remains disputed. There are two legendary accounts of the emblem’s origins. According to Alfa Romeo, the founder of house of Visconti, Ottone Visconti, adopted the symbol after crusading in the Middle East. Having fought and defeated a Saracen noble, Otone annexed the symbol which his Saracen foe bore on his shield as his own, as was the custom at the time. This symbol was a snake devouring a man. Another origin story explains that a voracious serpentine monster once lived in a lake near Milan. The creature terrorised all who swam in the lake, ate child bathers and poisoned the water with its foul breath. 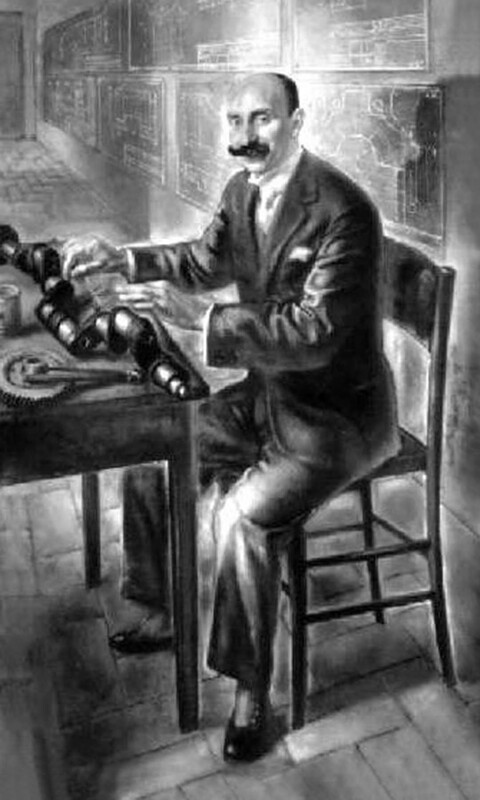 One day, Ottone Visconti confronted the monster and slayed it in combat. In commemoration of this famous feat, Ottone subsequently took the serpent as his personal coat of arms, depicting it in the act of devouring a child.